When someone in your life, whether they are a friend or family member, has something to celebrate, you want to plan something special for them. Take a look at some events that you could celebrate while on a party boat at Lake Chelan. Graduations- Whether someone you know just graduated high school or is graduating from college this summer, you should celebrate their achievement. 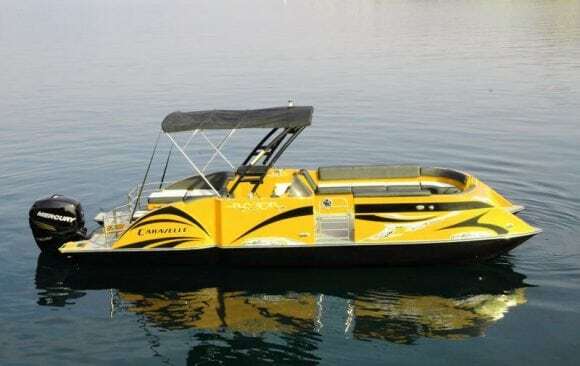 You can spend the entire day boating around the lake or taking advantage of our inner tube rentals. Birthdays- Celebrate someone’s birthday in style when you rent one of our party boats. Our fleet of boats varies because we understand you might need a larger boat when you have more people attending the birthday celebration. Some boats in our fleet can carry up to 22 passengers and others only 12, so just let us know ahead of schedule how many people are attending. Bachelorette Parties- Planning a bachelorette party is tricky when you are trying to coordinate everyone’s schedules and look for bachelorette party ideas in Seattle. Fortunately, you can book a day out on Lake Chelan. All the girls can spend time catching up and basking in the sun. Call us today at (509) 682-7245 to discuss our availability and rates for Lake Chelan boat rentals.